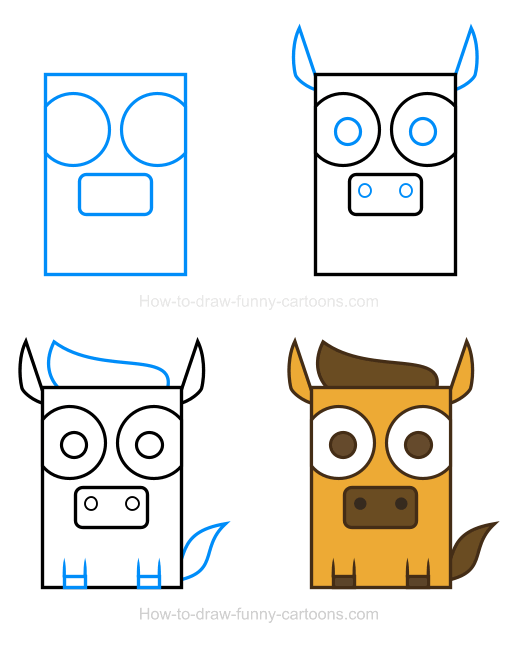 In this simple lesson, you will create a pony clipart using basic rectangles and circular shapes in just four easy steps. 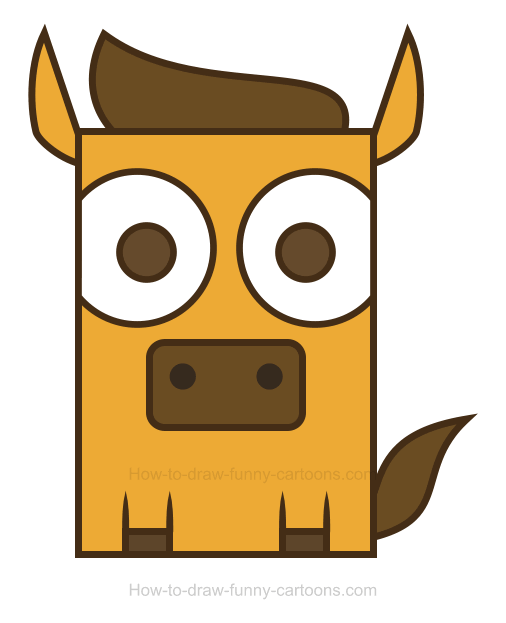 Whether you want to use a vector application or a pencil to illustrate this cartoon animal, you should not have trouble reaching your goal. This template was designed to be easily duplicated, even if you are only a beginner. Excellent! 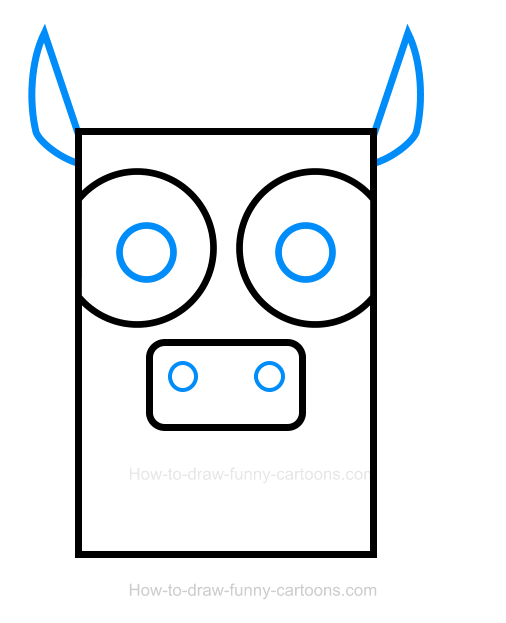 Start working on this pony by sketching a large rectangle that will be used to illustrate the head and the body. Next, draw two large circles to represent the eyes of the character. 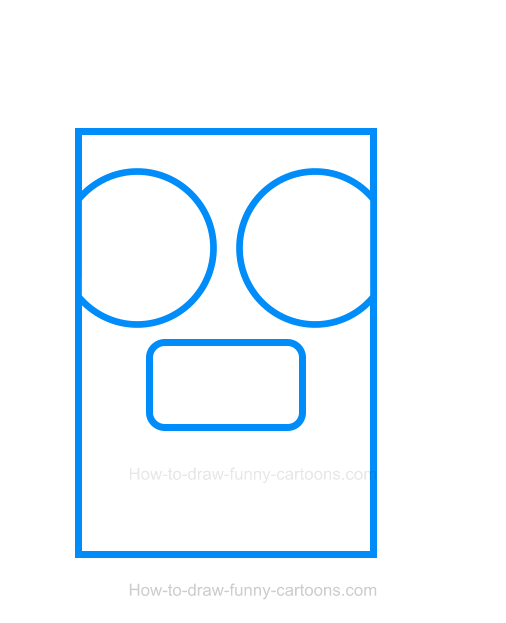 Finally, a small rectangle made with round corners can be used to form the nose of the animal. Don't forget to use thick outlines to make the character even more cuter. When you are done, you can work on the ears using small curved lines as shown in the illustration below. Two medium circular shapes are used to create the pupils while two smaller ones can be added inside the nose to complete this part of the tutorial. Yes, we are already working on the last step involving adding shapes. 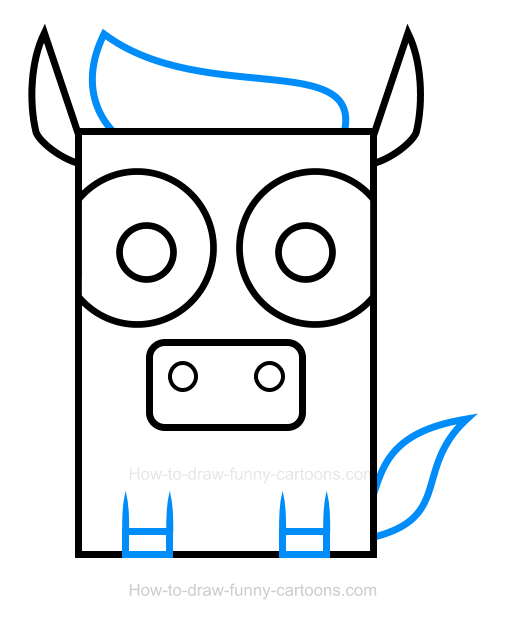 On top of the head of the cartoon pony, draw a large mane using a couple of curved lines. The tail can also be made using curved lines. Finally, the legs are done using two small rectangles and four straight lines. Great job! This drawing lesson is almost over! If you want to, you can add colors inside the pony clipart. For this example, I have selected a dark yellow/brown color for the body and the ears. The mane, the tail, the pupils, the nose and the hooves are colored with a dark brown color. I have also selected a darker brown color inside all outlines used to represent this wonderful cartoon animal. Great job working on this adorable pony clipart!